Brazilian superstar, Ivete Sangalo, entertained a massive crowd of 55,000 at the Allianz Park in one of the world’s largest cities, Sao Paulo, Brazil on 8 December 2018. 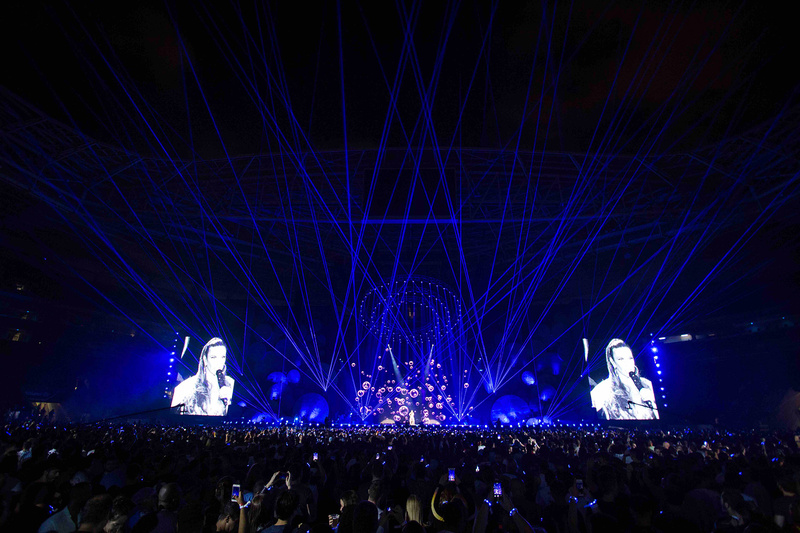 The show was filmed for her latest DVD release, Ivete Sangalo Live Experience, and lit by co-lighting designers and programmers, Paulinho Lebrão and Guillermo Herrero, who chose four Robert Juliat Lancelot 4000W HTI followspots to highlight the singer across the massive stadium. Sangalo is a multi-talented, multi award-winning performer with 22 albums, 15 million sales, 51 million social media followers, and over 150 national and international awards to her name. To make this star shine even brighter, Lebrão needed an extra special followspot. The four Lancelot followspots were supplied by rental company, LPL Professional Lighting, and rigged on two towers located 70m from the stage. It was here that Lancelot’s 2°-5° zoom optics came into their own: “When we began the project, we did not know what the front of house installation would be like, or even if we would have towers,” says Lebrão, “so we chose the Lancelot because we knew it would be able to cope easily with the enormous throw distances, whether we had towers or would need to position them further away. 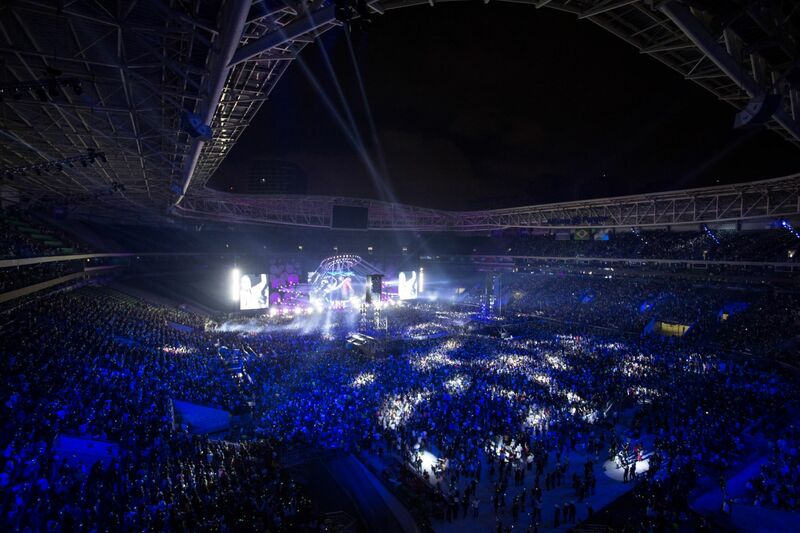 Lancelot has the versatility to work at both extreme and medium distances.” The choice was an obvious success with the star highlighted to perfection within Lebrão’s stunning light show, both in the stadium and on the recording.